If you have privacy concerns, you can indeed hide some stuff during a webinar. Or maybe you just don't want to be disturbed by the chat! 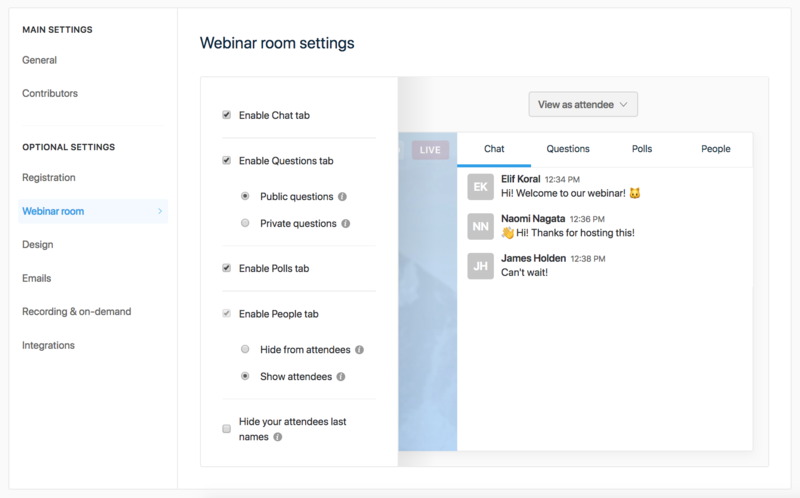 Thanks to our preview mode, you'll see the you'll be able to see the changes that you make on the webinar room directly. Make private? ( only visible to hosts and moderators) Hide tab completely? 👉 Important: if you make those changes after your webinar already started, you and your live attendees will have to refresh to see the changes. However, new attendees will have the new settings.